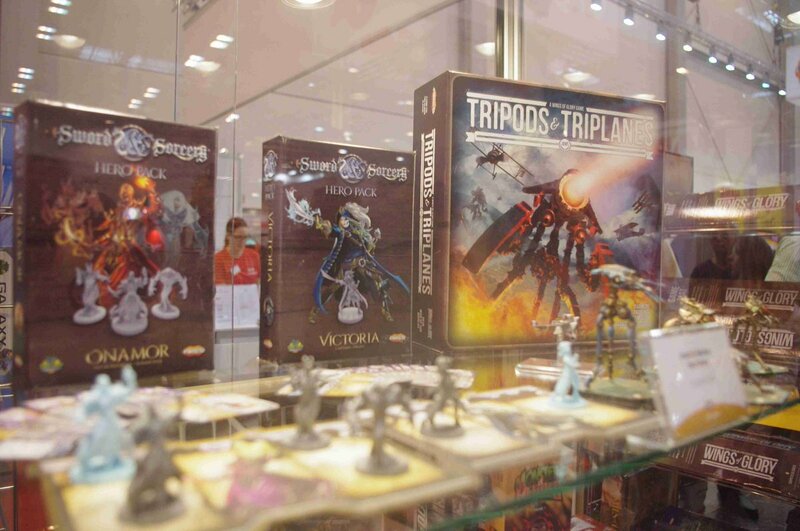 Twilight Imperium cometh; an official Jurassic Park board game; and the War of the Worlds comes to Wings of Glory. All this and more in the News Brief! The epic game of galactic conquest, politics, and trade is back. The recently announced 4th Edition of Twilight Imperium (more details about which can be found in a previous News Brief) is releasing tomorrow! Fans of the game can swing by Fantasy Flight Game’s Game Center in Roseville, Minnesota in order to have their copy signed by the game’s designer (and FFG CEO) Christian Petersen. 2017 is the 20th anniversary of Twilight Imperium, and this newest edition of the game will contain more in the box than 3rd Edition did. 17 playable races, a streamlined ruleset, new technology and trading systems, as well as faction-specific flagships and techs. You can buy Twilight Imperium when it goes on sale right here: keep that refresh going! The World War 1 airplane wargame goes science fiction. 1918. The Martians have invaded. The forces of Earth sign a truce and fight against the alien forces with their mightiest weapons: airplanes. We’ll know more about this game as it approaches release. An official Jurassic Park board game has been announced from MONDO, the creators of The Thing: Infection at Outpost 31. The Chaos Gene will be an asymmetrical game where the playable factions include the corporation InGen, park visitors, a pack of velociraptors, and the mighty T-Rex herself. There hasn’t been a Jurassic Park board game since 2001, and Infection at Outpost 31 was well-received by critics. Two tiny forefingers crossed that this one will be awesome. First up we have a war game about ending war. It’s Dawn of Peacemakers! Set in the Dale of Merchants universe (my favorite deckbuilder of all time), Dawn of Peacemakers envisions a war between macaws and ocelots and tasks the players as four adventurers recruited to end the conflict between the two factions. Playable as a story-based campaign or with skirmish battles, I demo’ed Dawn of Peacemakers at Essen and was very charmed by it. Check it out! What an intreeguing looking game! Deck building and buildable trees. Make like a leaf and fly over to their Kickstarter Page. Next up we have Sorcerer, a dark fantasy game from the creator of Star Realms. Given that Star Realms could fit in a pocket, Sorcerer looks to be a more lush and fleshed out game set in a Victorian world of horror and magic. Cast your gaze over to their Kickstarter. Brettespiele is a german website that runs a really awesome Instagram page. When they’re not whimsically photographing meeples, they’re doing cool stuff like this Pandemic Legacy shot. They’re on Twitter and Instagram. And that’s it for the News Brief! Come back later this week for our review of Vengeance, our game of the month, and our Essen Gift Guide for Black Friday is coming soon!